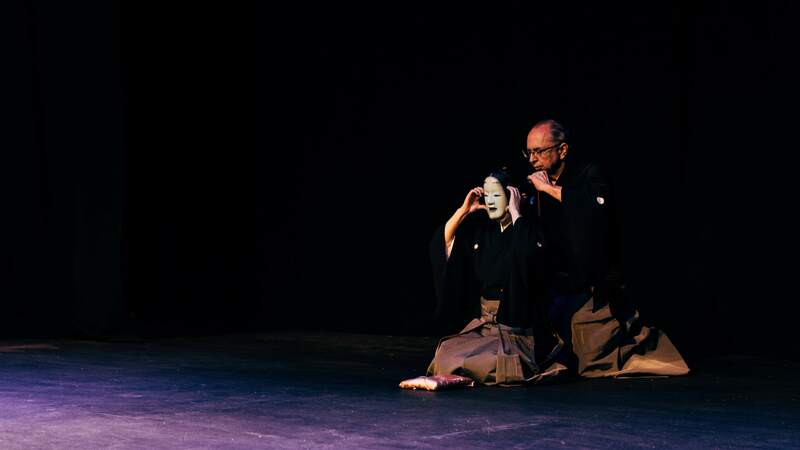 Between the Stones is the third artistic collaboration between Richard Emmert (composer, director) and Jannette Cheong (writer, designer) in the 10 years that they have known each other. 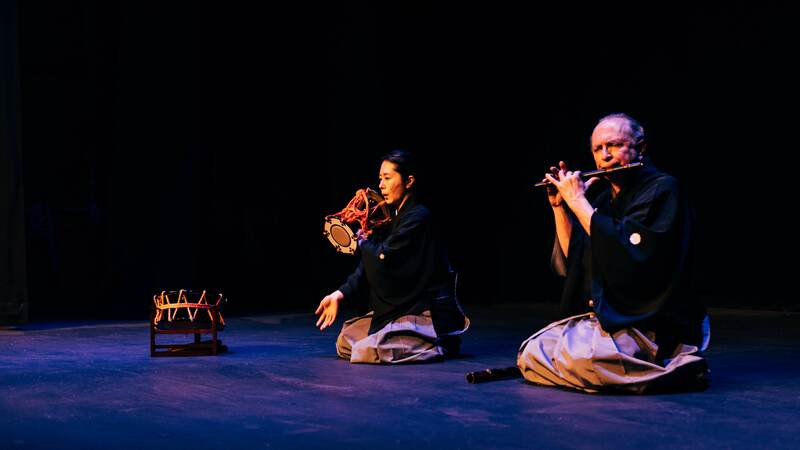 The first time they collaborated was in 2008-9 when they created the English-language noh Pagoda; an Oshima Theatre and Theatre Nohgakujoint production supported by Bunkacho (the Japanese Agency for Cultural Affairs) in 2009 (touring the production to London, Dublin, Oxford, Paris) and 2011 (opening at the National Noh Theatre, Tokyo, and touring to Kyoto, Beijing and Hong Kong). 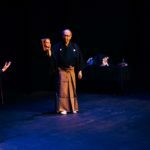 The Between the Stones Project is the second co-production by Richard Emmert, Jannette Cheong and Unanico following their acclaimed 2017 co-production: Noh time like the present… a Tribute to Akira Matsui. 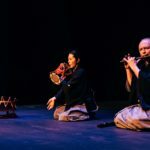 Unanico both supported the delivery of the project and are also working on the production of a short film of an interview with Akira Matsui. 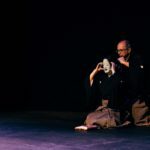 A common response to noh from non-Japanese, echoed by many Japanese, is that they do not understand noh. 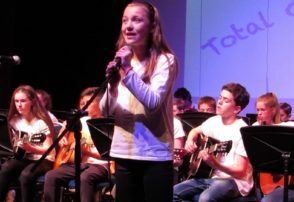 The Between The Stones Project is touring the UK and their second date in Ireland was held on Friday 8th Feb 2019 – right here in the Mill! 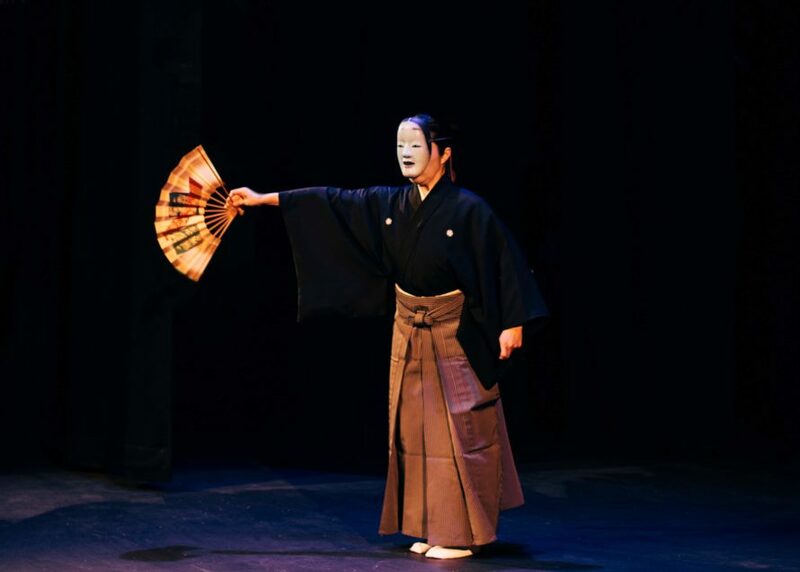 Their aim is not only to help others understand the wonderful art of noh, and how it has been preserved and continuously performed for the past six centuries, but also to highlight that it is a living art form that serves to reflect contemporary societies worldwide. 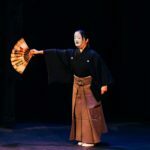 English language noh, developed over the last 40 years, has given particular focus to the latter while using the traditions that have been handed down over the centuries in Japan. 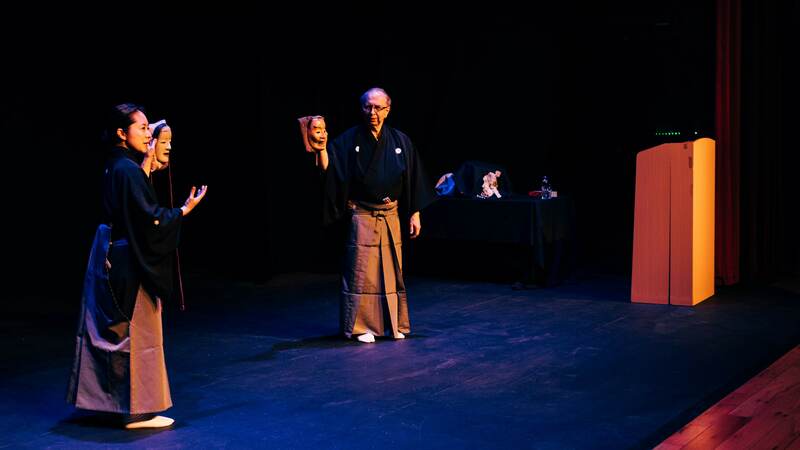 The ‘Getting to Noh’ educational and outreach programme of activities runs through the phases of the project and parallel to the development of the new noh.